There are many factors to consider when buying metal roofing for your home. 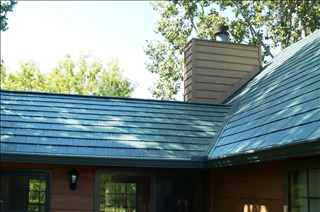 Metal roofing prices vary considerably depending on the type. Inexpensive exposed fastener metal roofs may run anywhere from $300 to $600/ square (100 sq ft) installed, depending on the application. These roofs are typically made of fairly thin galvanized steel and are attached to the roof deck with nails or screws that penetrate the metal panel. This type of system may be susceptible to leaking as the metal panels expand and contract eventually wobbling out the holes at the fasteners. The metal is thin and easily dented. The zinc coating is typically thin also which may result in a rusting and a relatively short lifespan. For these reasons exposed fastener roofs are best suited to barns, storage buildings and pole barn applications and should never be used as a residential roof. Better suited for your home are standing seam metal roofs or metal shingles with hidden fasteners. Hidden fastener roofs will allow for expansion and contraction without exposing the fastener to the elements and potential leaks. These types of roofs are typically more expensive than exposed fastener roofs, ranging in price from $600/square to $1800/square installed. Hidden fastener metal shingles and standing seam roofs are available in either galvanized steel or aluminum. Aluminum is considerably more expensive than galvanized steel but offers no distinct advantages. Aluminum is softer than steel and much more easily damaged by hail or falling branches. A quality galvanized steel roof, properly installed by a qualified contractor will last a lifetime and may cost 40-50% less than an aluminum roof. Select the style of roof you are interested in. Both standing seam and metal shingles will last a lifetime if quality materials and installation are used. Start with a quality product. Galvanized panels should be G90 (weight of zinc coating) or galvalume (zinc/aluminum alloy) coated. Select a quality finish. Stone-coated steel roofs may have more of a traditional asphalt shingle look initially, but over time aggregate may come off and molds may grow in remaining aggregate detracting from the appearance. The best finish for exterior metal is Kynar500. While other exterior paints may fade and chalk or dust, Kynar500 is guaranteed not to do so for 30 years. Install only on a roof of 3/12 pitch or greater. Lower pitch roof need special consideration by a professional. Proper roof preparation includes inspection and replacement of rotted or de-laminated roof decking. Removal of excess roofing materials. Building code requires that no more than 2 layers of roofing be installed on a residence. If two layers of roofing already exist, both must be removed. Installation of a quality underlayment. Since the life expectancy of a quality steel roof is 100 years or more the underlayment needs to also last that long. Only quality synthetic underlayments should be used. Roofing felt is a paper product not intended for that lifespan. Correct cutting method of the roofing panels. Improper cutting with circular saws, grinders or rotary devices may lead to shearing off of galvanized coating resulting in rusting and premature failure of the roof. Cutting with guillotine type cutters results in closure of fresh cut ends, prevents rusting and is the only method that should be used. Proper fastening. Metal roofs can be either nailed or screwed down. Screws provide superior fastening and when installed at the correct spacing will provide wind protection up to 160 mph. A qualified, experienced crew that understand the correct installation of the metal roofing system is key to a roof that will last a lifetime. With the rise in demand for metal roofing, many roofing crews represent expertise in metal roof installation. The unfortunate truth is there are very few crews with the experience necessary to correctly install metal roofs. Research the company you are considering, check their references, read their reviews and speak with past metal roofing clients to determine what experience they had working with the company. Follow these steps and be assured that the metal roof you purchase will be beautiful, cost effective and last your entire life. 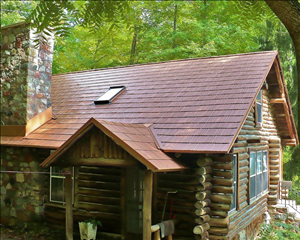 Which is Better: Metal Roofing or Shingles?